The newest trends in mobility are small, cheap, nimble, and shared. What does the rise of micro-mobility mean for your community? In this Alta Innovation Lab webinar, you will learn from two cities tackling the opportunity head-on: Aurora, Colorado which was one of the first dockless bike share permitting programs in the country, and St. Louis, MO which enacted a permitting policy that includes a social equity component. 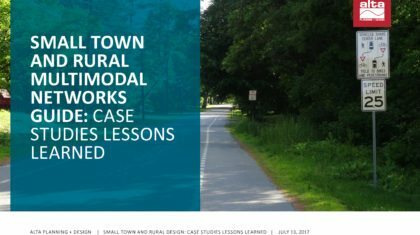 Since the release of the Small Town and Rural Multimodal Networks Guide, many stakeholders have turned their attention toward implementation. How has it worked for other small towns and rural communities? 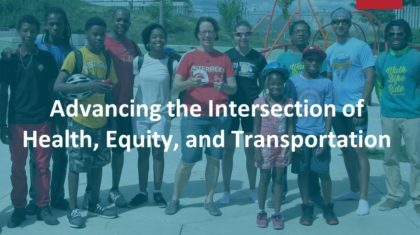 This webinar introduces available health data that can be useful in decision-making and prioritization and provides case studies of successful efforts to integrate health and equity in planning projects. This information can be used to make a strong benefit case for transportation investments. 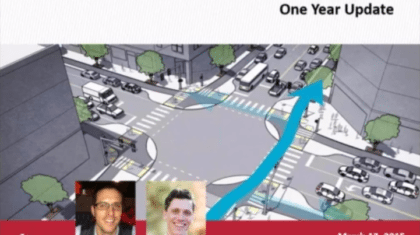 Through our work designing Salt Lake City’s first protected intersection, Alta designers have explored the research status, regulatory implications, and fundamental geometric design principles surrounding the protected intersection design.